I started my new job about 7 months ago. I typically prefer to keep a low profile when I start a new job. I do lots of listening. Lots of asking questions, but try to not to draw too much attention to myself. So, no one suspected it was me. Not a single person. I was SO discreet. 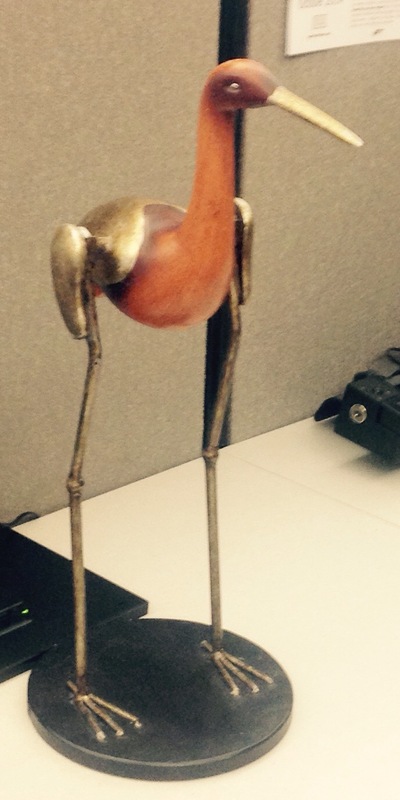 My coworker Brad has a bird on his desk. The top part spins around. Brad will idly spin it while he’s on phone calls. 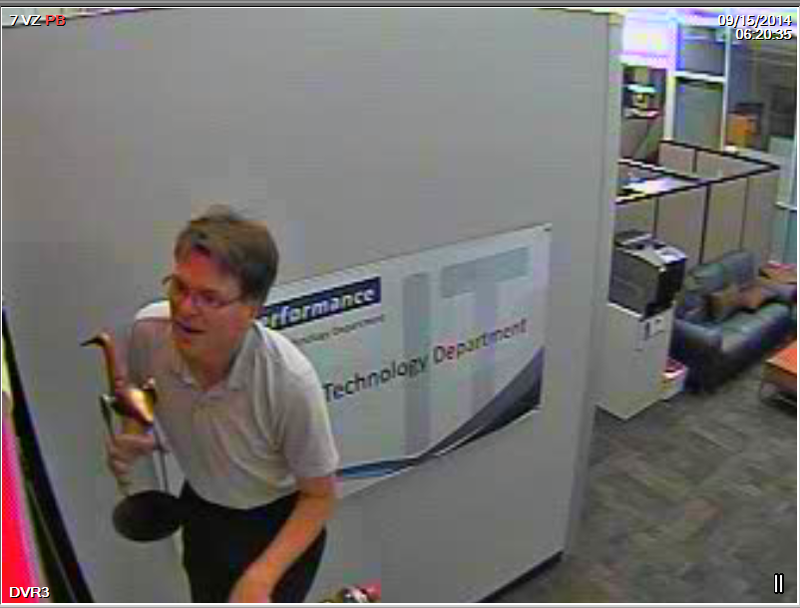 My boss, the only one who was in on it, suggested that the team had a history of hiding Brad’s bird. He suggested I take it on one of my trips (Five Percent Travel) and take pictures of it in some random place. I snuck it out of the office and took it to Richmond, VA. 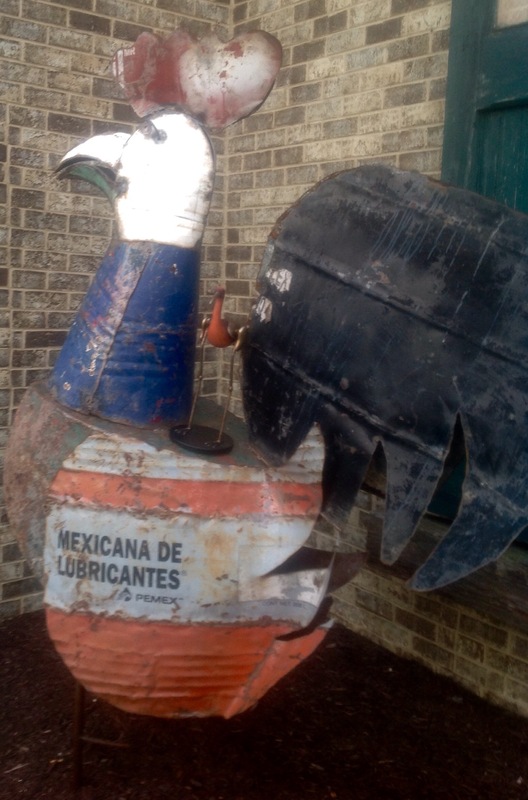 Here it is on the back of a really big metal chicken. Don’t see it? Here’s a closeup. I’d send the pictures to my boss and he’d email them to the team. It was a good plan and it was kind of fun. The key, of course was I never mentioned Brad’s bird to anyone. Not even when it was right under his nose. 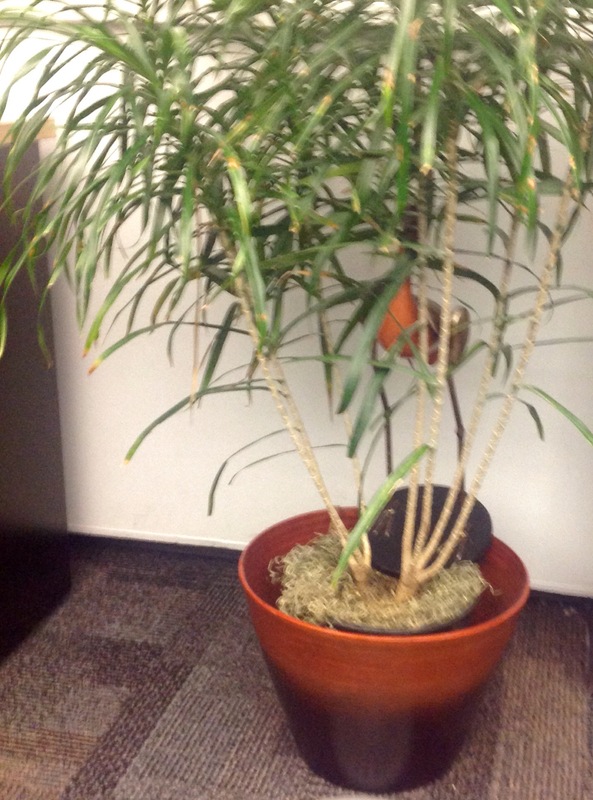 In the area between our cubes is a potted plant. I put the bird in the plant and it took him over a week to find it. Where can I put it that he can see it, but have trouble getting it? The answer was the top of a 10 foot wall in our office area. The ceiling sloped from about 8 feet to 20 feet high. The offices had traditional walls. I got my boss to leave a ladder in his office. I came in early and Brad’s bird suddenly had a bird’s eye view of the entire office. I was kind of surprised that Brad didn’t get the bird down. Brad is also a Project Manager. Our whole job is to identify problems and solve them. I thought the “bird on a wall” would have been fairly easy to fix. But, for some reason Brad left the bird there for nearly two weeks. Finally, I climbed back up on the ladder early one morning and rescued the bird. I came back from my latest trip (This Never Happened To James Bond) and was sitting at my desk going through emails. There was a tap on my shoulder. It was one of our uniformed security guards and he was standing next to my boss. Rodney, I need to let you know that we have security footage of you violating company policy. It’s pretty serious. I actually managed to imagine a thing or two that might have triggered this visit. They weren’t real, but my imagine was running overtime at this point. My concern apparently showed pretty clearly on my face. 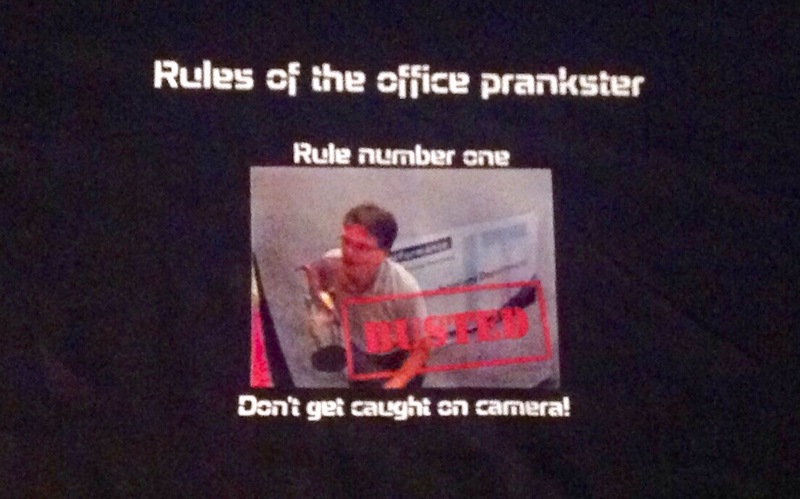 Did I mention that we share a cube farm with the security team? Yeah, none of them knew I was the bird napper either. But, they knew something I didn’t. They new the location of the security camera’s and had access to the tapes. This wouldn’t have been too bad if my boss wasn’t ALSO a prankster. After he and the security guard. . and several other PM’s got done laughing he handed me a shirt. Don’t get caught on camera! Like I said, I was framed.